Thanks for signing up! Check your email for your freebie!! See below for a limited time offer just for email subscribers. Are you a single parent looking for hope, encouragement, and connection to God each day? Your answer is here. 6-weeks of guided prayer, worship, and encouragement. Start your day feeling calm and refreshed? Have a guide for your prayers? Feel a deeper connection to God? Have someone encouraging you every week for 6 weeks? Receive weekly emails with a worship song to enhance your study that comes right when you need it most? Look down at your phone during your stressful day and see a Bible verse that calms your soul? It's possible with the 6-week Prayer Journal. "I love the fact of journaling. I'm excited about weekly scriptures. So glad to have found your site. God must have lead me to it. Thank you!" "The stresses in my life have taken over my quiet time. Thank you for the scriptures and the support, much appreciated." "I love the mid-week songs. I really needed today's." 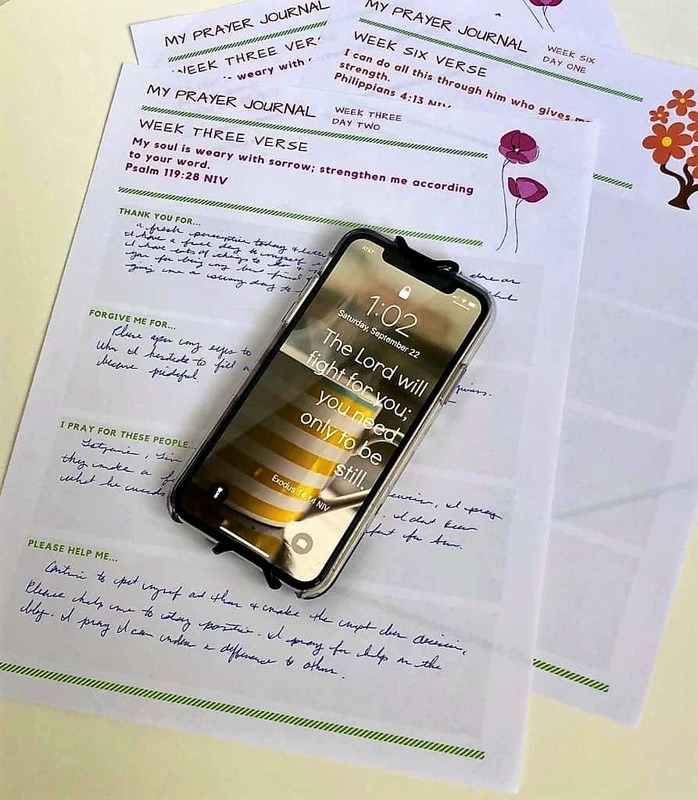 6 Weeks of Prayer Journals - one new prayer journal each week with a carefully selected bible verse from my own single-parent journey. A new wallpaper for your phone each week with the same Bible verse that is on your prayer journal. A mid-week encouraging email that includes a worship video that other have said came at the perfect time. Hope, encouragement, and connection to God each day. When will I receive my prayer journal? This is a digital product. 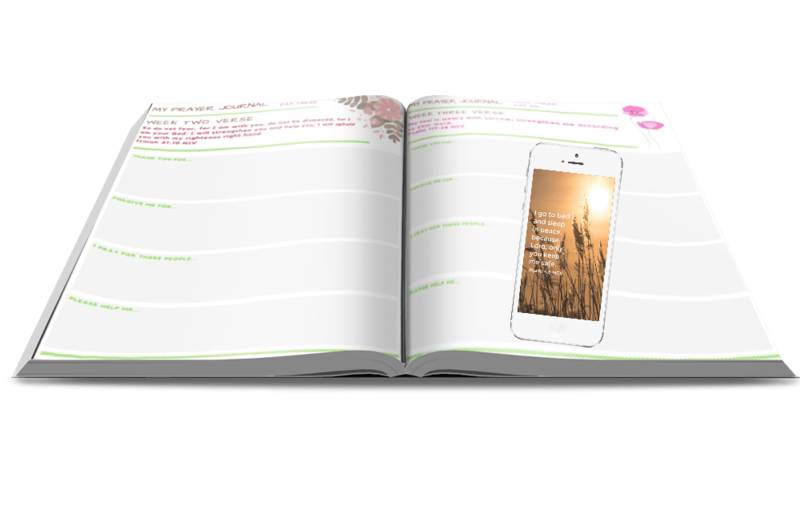 Upon purchase you will receive an email from me with your first week's prayer journal and wallpaper. Then mid-week you will receive your encouraging email with the worship video. It's important to me that you are comfortable buying products from me so if at any time you want a refund, send an email to info@sunflowermom.com. Check out how I use it below!